Custom Fit Fine Linens Convert-A-Fit Sheets are designed to fit all types of mattresses including conventional mattresses with pillowtops up to 15" thick, softsided waterbeds, air beds, space-aged Memory-Cell® and even traditional king, queen and super single woodframe waterbeds! The sheets are attached at the center foot so you don't have to struggle to make the bed, yet the simple stitching line allows for total sleeping comfort and full range of movement. 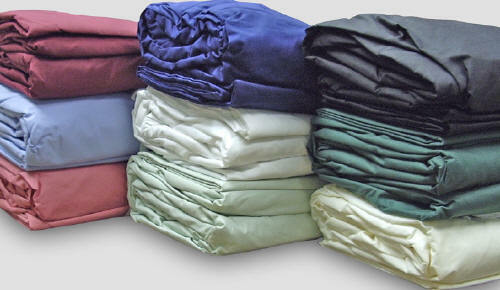 Custom Fit Fine Linens Convert-A-Fit 300 T.C. Sheets are designed to fit all types of mattresses including conventional mattresses with pillowtops up to 15" thick, softsided waterbeds, air beds, space-aged Memory-Cell® and even traditional king or queen woodframe waterbeds! The sheets are attached at the center foot so you don't have to struggle to make the bed, yet the simple stitching line allows for total sleeping comfort and full range of movement. 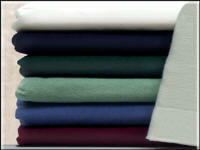 Custom Fit Fine Linens Convert-A-Fit 300 T.C. Sheets are designed to fit all types of mattresses including conventional mattresses with pillowtops up to 20" thick, softsided waterbeds, air beds, space-aged Memory-Cell® and even traditional king or queen woodframe waterbeds! The sheets are attached at the center foot so you don't have to struggle to make the bed, yet the simple stitching line allows for total sleeping comfort and full range of movement. Convert-A-Fit Sheets™ which are designed to fit all types of mattresses including conventional mattresses with pillowtops up to 15" thick, softsided waterbeds, airbeds, space-age Memory-Cell® and even traditional king, queen & super single woodframe waterbeds! Convert-A-Fit sheets™ are attached at the center foot so you don't have to struggle to make the bed, yet the simple stitching line allows for total sleeping comfort & full range of movement!